The fastest most efficient way to build a high flying brand for your practice – one that dominates the media you buy and becomes engrained in the public’s mind – is to associate with something or someone that’s already achieved great heights. 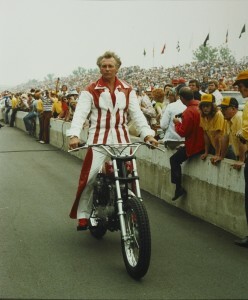 Evel Knievel is one of the most recognizable figures anywhere. He’s more than a daredevil; he’s a world famous brand. With a unique blend of daring and showmanship, he launched himself right to the top of the pop culture where he still stands to this day. 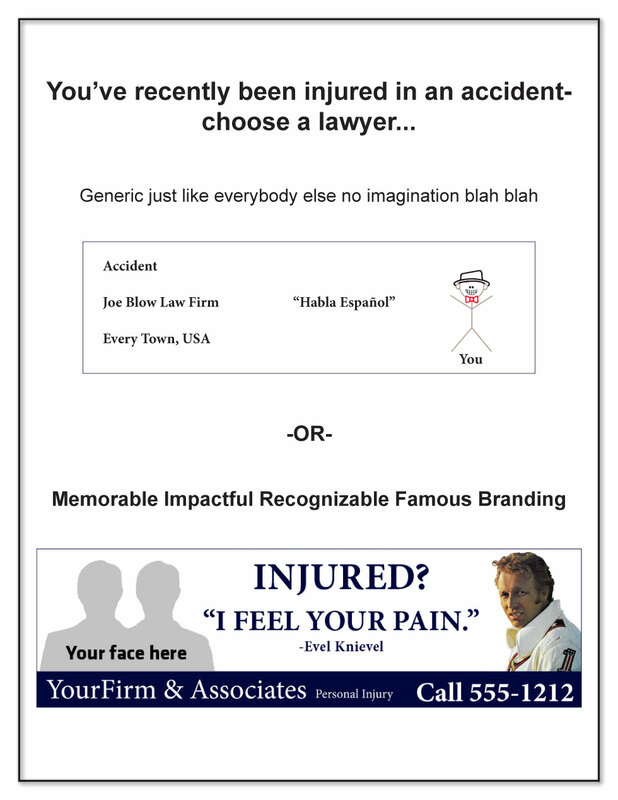 He’s also synonymous with something your target audience identifies with – accidents, injury and hospitals. Align your personal injury advertising with the man who quite famously holds the Guinness Book of World Records for the most broken bones (35); and your own recognition and case load will soar. The prestige of being endorsed by the legend of Evel Knievel is incalculable. 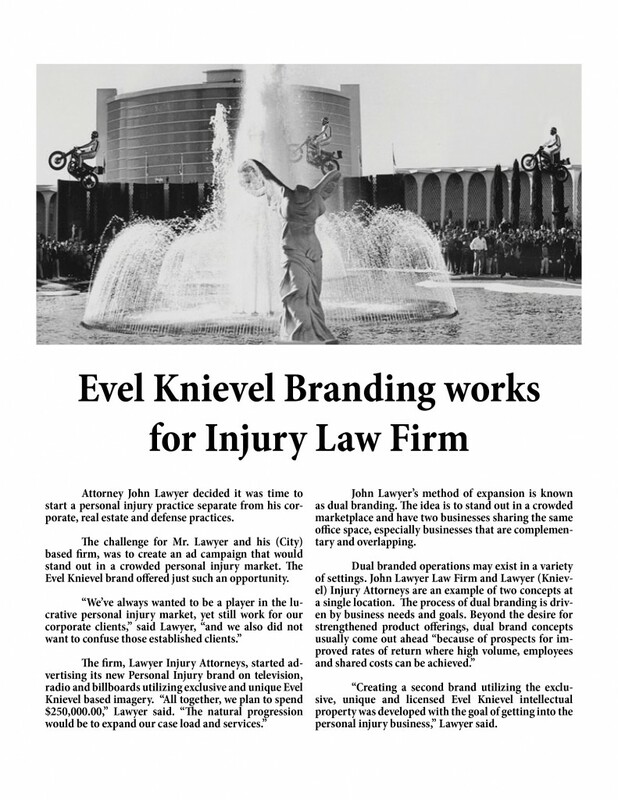 The exclusive Evel Knievel intellectual property assets you will license include video clips and photo archives loaded with imagery that measures extremely high recall because it is thrilling, historic and emotionally impactful.